It was the last day of the group stage on Wednesday as plenty of teams still had a lot to play for. There were still several quarterfinal spots on the line and seeding implications for the teams that qualified. Four teams will drop down to the knockout rounds of EuroCup, meaning that only the bottom two teams in each group would be done with cross country competitions after the day. Fenerbahce dispelled any notion that they might help their rivals out as Jantel Lavender and Allie Quigley condemned Jewell Loyd and Galatasaray to the toughest quarterfinal matchup with a 71-60 win. Good Angels Kosice took care of business against a Sopron side that will be happy to be done with the competition after a horrendous campaign. Schio jumped up to take second place and home court advantage as Isabelle Yacoubou led them to a 75-57 win. Villeneuve lost, but still ended up joining the Slovakian team in EuroCup because of the result of the other late game. Dynamo Kursk went to Spain and eliminated Avenida 72-66 as Anete Jekabsone-Zogota led the way. With only two games to play, Wednesday was filled with action as teams fought for a small number of spots and qualified teams jockeyed for seeding position in the quarterfinals. Nneka Ogwumike was the ringleader for Dynamo Kursk as they eased past last place and firmly eliminated Sopron 102-68. More impressive was Schio’s 66-60 win at Fenerbahce, which also kept them in the hunt for second place. It is not clear how much Fenerbahce was concerned about winning since they already clinched first place, but Jantel Lavender showed no signs of slowing down. A game that only matters for the EuroCup places went overwhelmingly to Good Angels Kosice 78-48 as Villeneuve missed a big opportunity. Galatasaray was led by Lynetta Kizer as they stayed in the big tie for second place with a 62-49 win at Avenida, which still fights for that last EuroCup spot. In next week games, Good Angels Kosice can put themselves in good position simply by beating Sopron in Slovakia. Galatasaray figures to get a test from rivals Fenerbahce as they try to gain positioning. Villeneuve could be in trouble for staying in any competition if they lose to Schio in Italy. Avenida will host Dynamo Kursk in the other game as they try to at least make the EuroCup while the visitors try to maintain second place. Dynamo Kursk qualified for the quarterfinals and helped out the other teams by beating Villeneuve 66-49. Galatasaray joins them as Lynetta Kizer and Nevriye Yilmaz led them to an 81-56 win over Sopron. Avenida missed a chance to solidify their shot at a EuroCup place by falling victim to a comeback by Jantel Lavender and Fenerbahce 64-59. 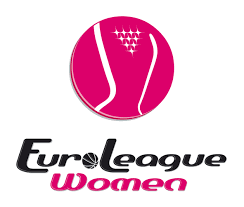 The final spot was decided as Jolene Anderson helped Schio get going early against Good Angels Kosice, easing to an 89-63 win despite the best efforts of Crystal Langhorne. While the top spot and the other three teams moving on have been decided, the three way tie for second place creates an interesting battle as teams fight for seeding. A busy Wednesday continued to clear up the picture in the group. Dynamo Kursk overcame a solid effort from Zuzana Zirkova and pulled away in the second half to beat Good Angels Kosice 64-53. Fenerbahce continued to lead the group and virtually guaranteed itself the top spot as Jantel Lavender led them to a 69-52 win at Sopron. Lynetta Kizer had a critical performance for Galatasaray as they fended off Villeneuve 66-62, making it likely that the current four teams at the top of the standings will be the ones moving on to the quarterfinals. Avenida was the only home team to win, beating Schio 63-52 to give themselves a reasonable shot at the last EuroCup slot while creating a three way tie for second place. On Wednesday, Jewell Loyd led Galatasaray past Good Angels Kosice 69-57. Fenerbahce beat Villeneuve 77-54, keeping their dominant lead over the other teams and sealing up a quarterfinal spot. Avenida beat Sopron 74-60 despite a great game from Aleksandra Crvendakic, pushing them into one of the EuroCup spots. On Thursday, it was a game for second place in the group and Anete Jekabsone’s hot shooting and Nneka Ogwumike’s battle with Isabelle Yacoubou inside was not enough for Dynamo Kursk as they lost 79-72 at Schio. Villeneuve won 69-50 in Hungary over Sopron to stay close to the qualification places. Fenerbahce created a clear lead for first place with a 66-56 win over Dynamo Kursk. Gabriela Marginean led Avenida past Good Angels Kosice 76-68 to improve their chances of additional basketball. Galatasaray went to Italy and beat Schio 70-64 to keep things close in the race for quarterfinal bids. There was one Tuesday game as Wisla Krakow went to Belgium and beat Castors Braine 74-65 as Devereaux Peters and Yvonne Turner led the way. Wednesday was filled with close games as Abdullah Gul University edged USK Praha at home 77-75. It was a quite a titanic clash as Zoi Dimitrakou and Chelsea Gray matched the scoring output of Sonja Petrovic and Kia Vaughn basket for basket. Diana Taurasi took over again, leading UMMC Ekaterinburg past Bourges 69-63 herself. Nadezhda remains in second place after winning 59-56 at last place Girona. With only 3 games to play, teams are starting to clinch spots in for the next stages of competition. Shenise Johnson had quite a performance as Good Angels Kosice went to Sopron and won 86-70, keeping themselves within touching distance of the last spot for the next round. Dynamo Kursk got another solid effort from Nneka Ogwumike as they beat Avenida. Proceedings in France went to overtime before visiting Schio could take the 73-70 win over Villeneuve as the visitors relied on the veteran presence of Laura Macchi. The latest installment of Istanbul’s biggest rivalry was another close game with Fenerbahce escaping at home with a 57-56 win over Galatasaray to stay on top of the group. The round started with a rare Tuesday game in Belgium as Nadezhda let hosts Castors Braine get the early lead, then stifling them for a 67-47 win. Kayla McBride and DeWanna Bonner led the way in the win as the team held Castors Braine to 20 points in the final 3 quarters after giving up 27 in the first period alone. Wisla Krakow pulled themselves back into the picture by hanging on to a 67-66 win at home over AGU Spor with Cristina Ouvina and Yvonne Turner leading the way. The much anticipated final rematch from last season did not disappoint as UMMC Ekaterinburg reversed the result from last time, winning 76-73. Diana Taurasi was at her best in the win, which was needed because Katerina Elhotova could not be stopped on the other end. Bourges also kept itself in the picture by going to Spain and winning 56-47 at Girona. Celine Dumerc continues to take up more of a scoring role as Noemi Jordana continues to try to fill in the scoring gap on the other side. The second half of the group stage started Wednesday as teams fight to be playing pan-continental basketball late into the season. Villeneuve had a tricky time in Slovakia, needing overtime to grind out a win against Crystal Langhorne and Shenise Johnson powered Good Angels Kosice 60-55 as both teams look to stay in the hunt. Even with roster adjustments, Dynamo Kursk rolled past Sopron 98-63 with Nneka Ogwumike and a near triple-double from Irina Osipova. Avenida tried to climb back in the picture in Turkey, but Galatasaray closed the door on them with a 61-59 win thanks to Jewell Loyd. The game for the top spot in the group in Italy saw visiting Fenerbahce escape Schio with a 64-62 win. The shooting of Allie Quigley helped cancel out the inside presence of Isabelle Yacoubou.